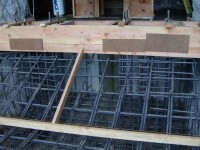 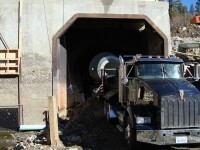 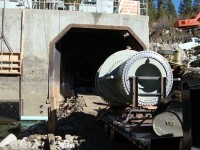 HB Valve at Portal Powerhouse • MCS Construction Inc. 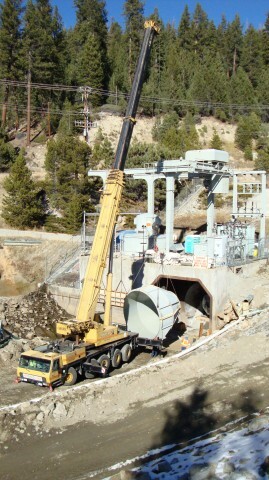 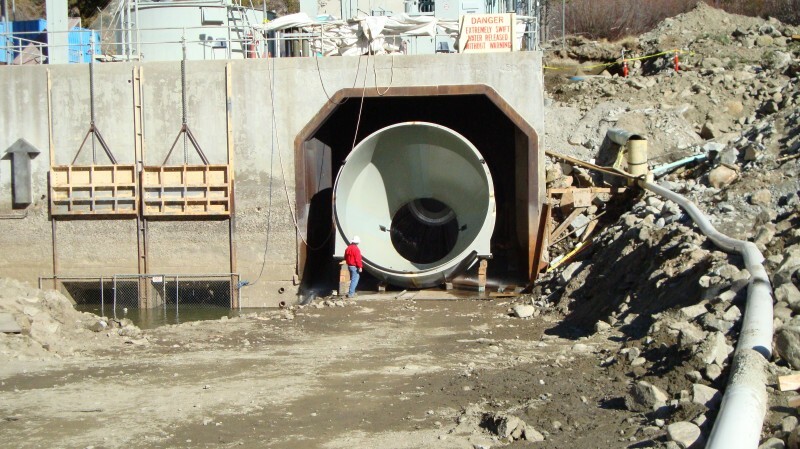 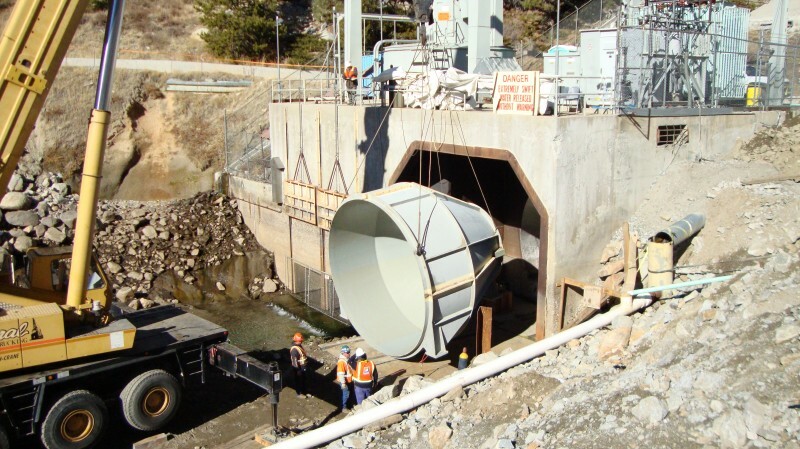 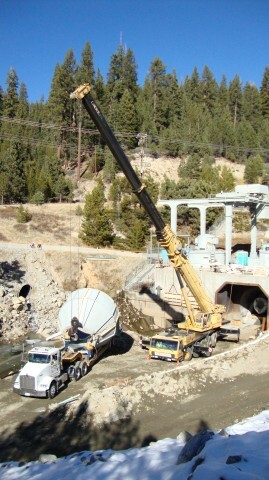 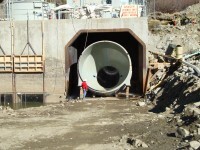 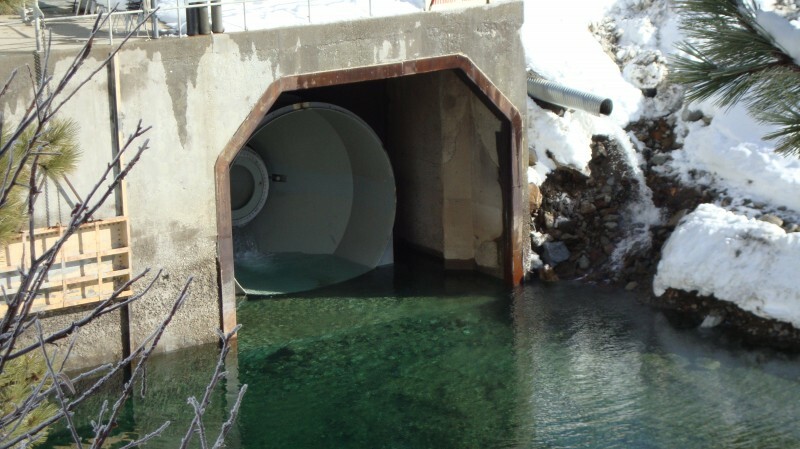 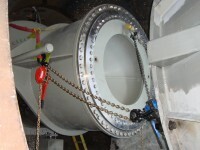 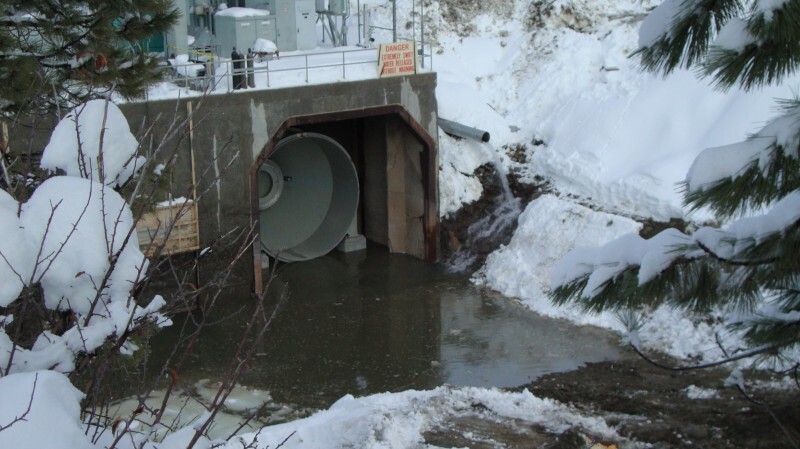 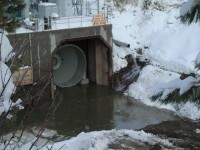 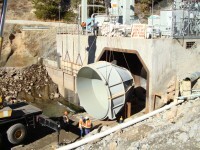 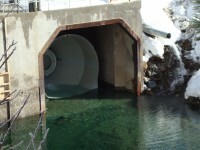 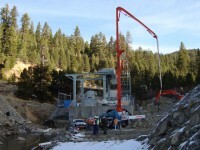 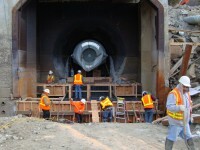 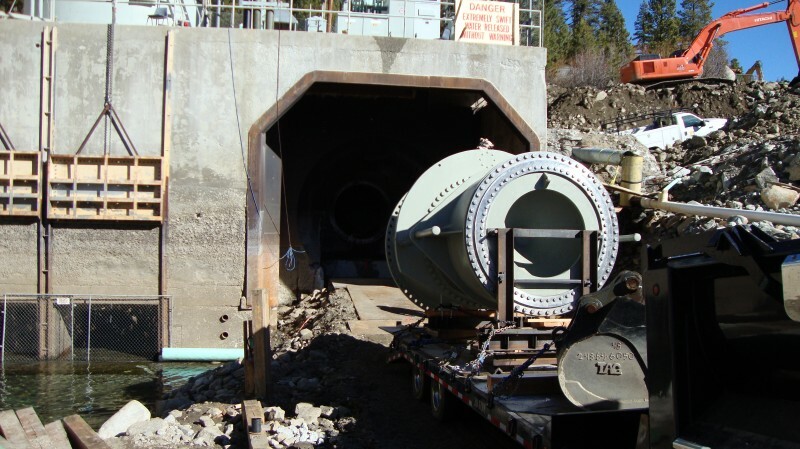 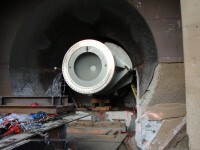 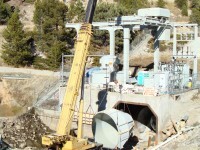 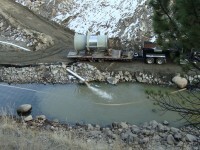 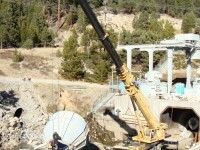 The Portal Powerhouse discharge required the installation of a new HB valve. 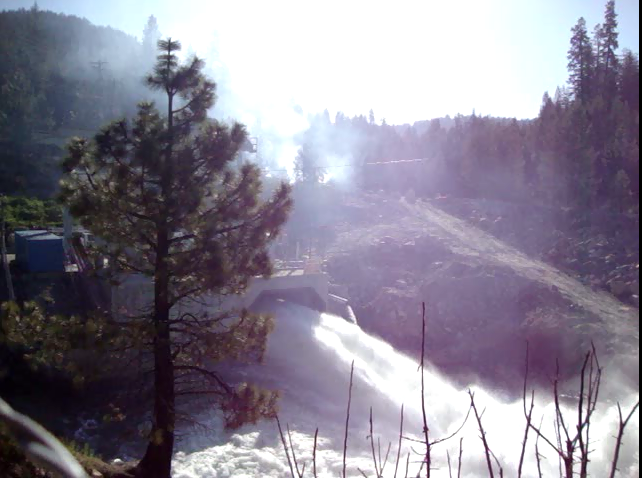 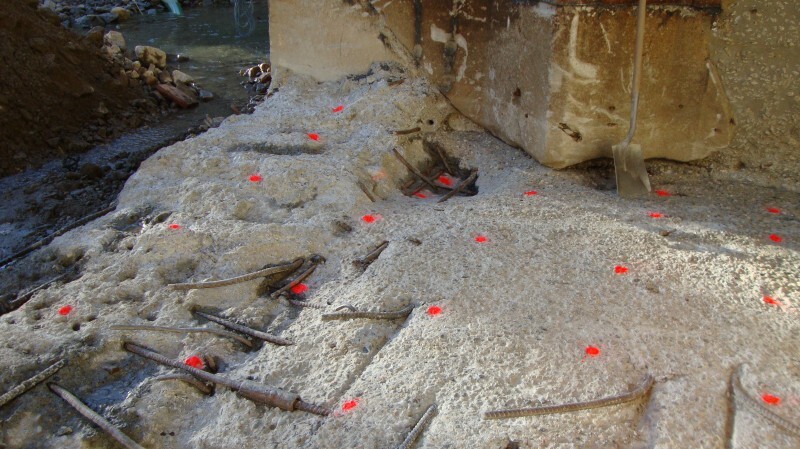 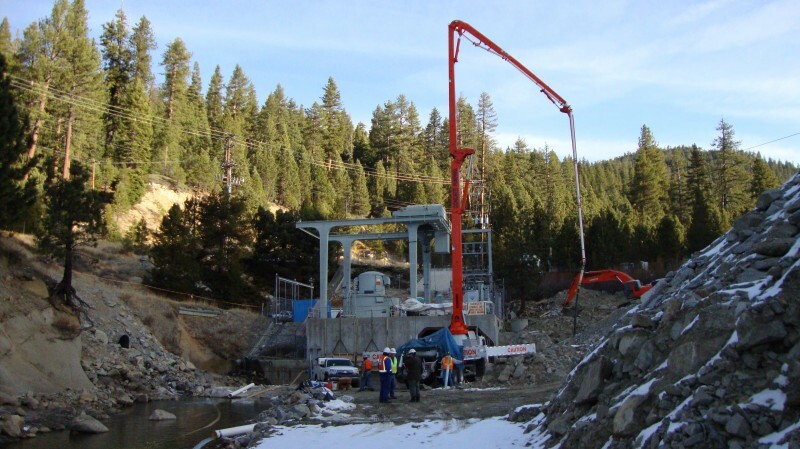 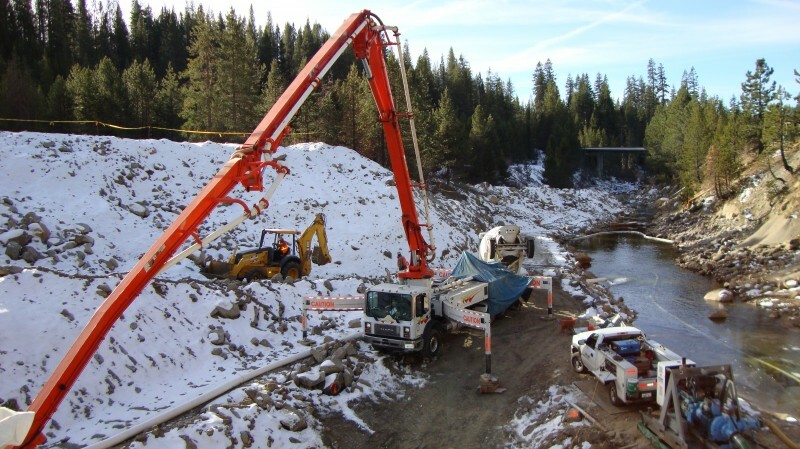 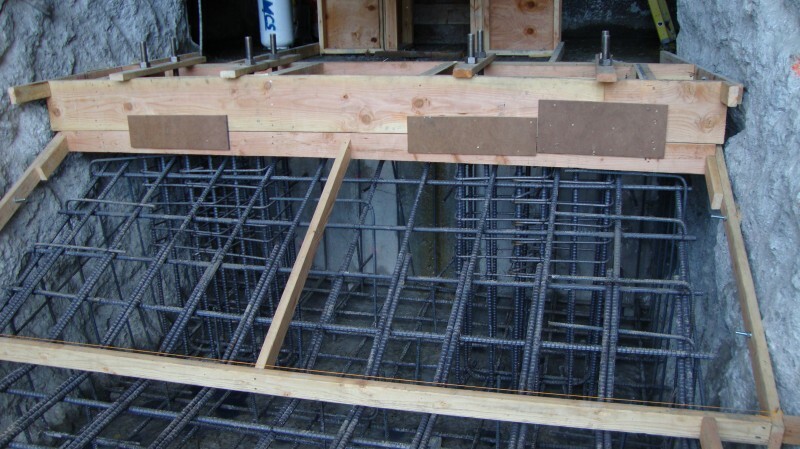 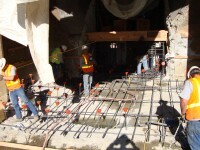 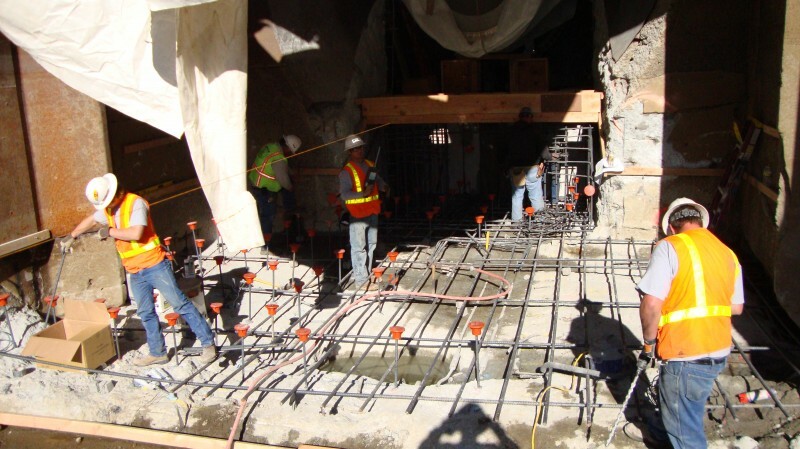 Because the existing valve was poured into the powerhouse foundation, extensive concrete demolition was needed to install the new valve. 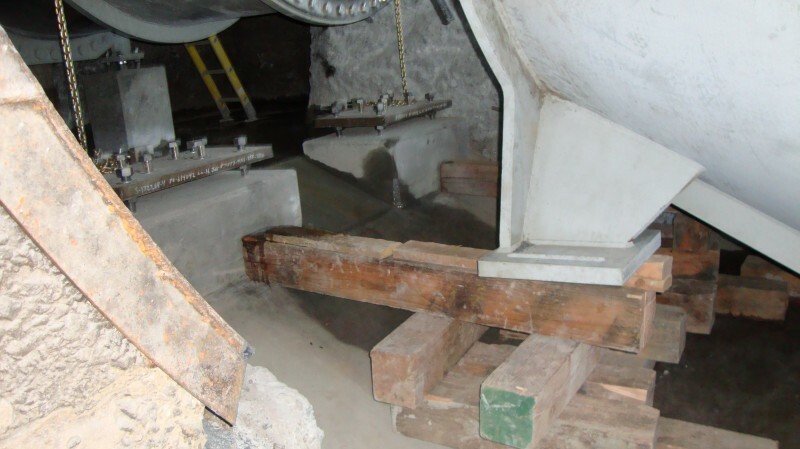 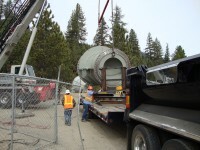 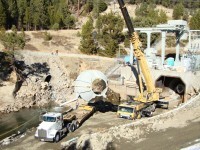 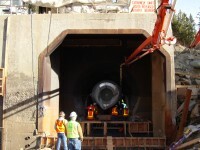 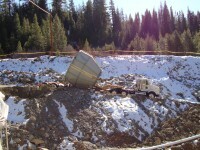 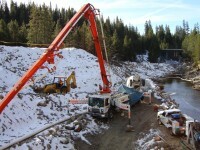 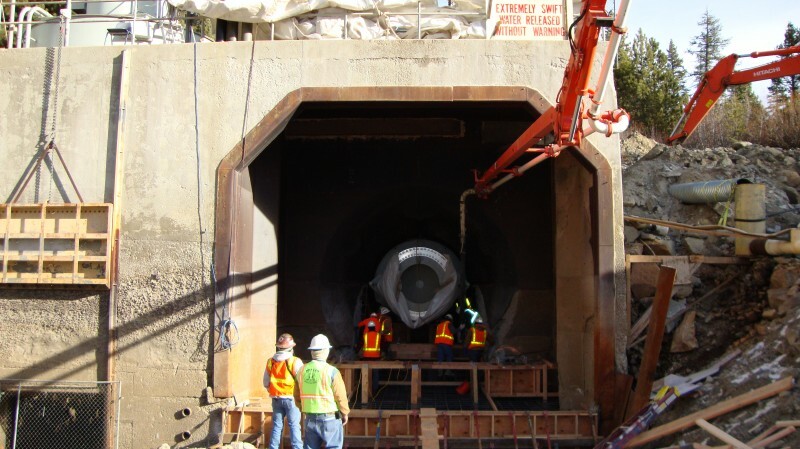 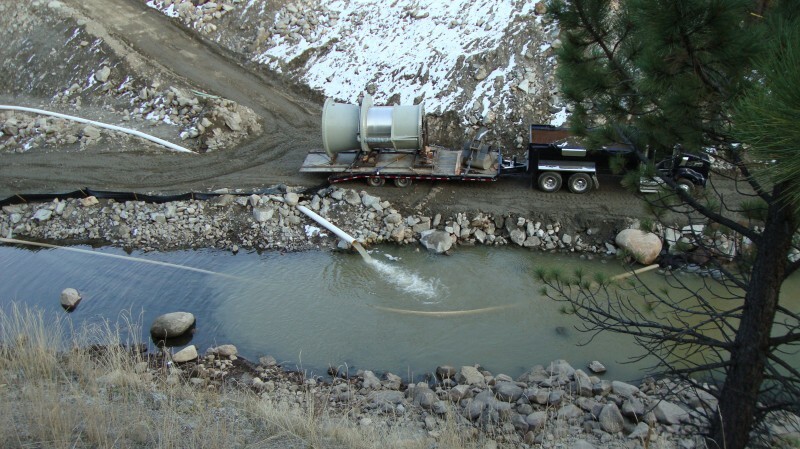 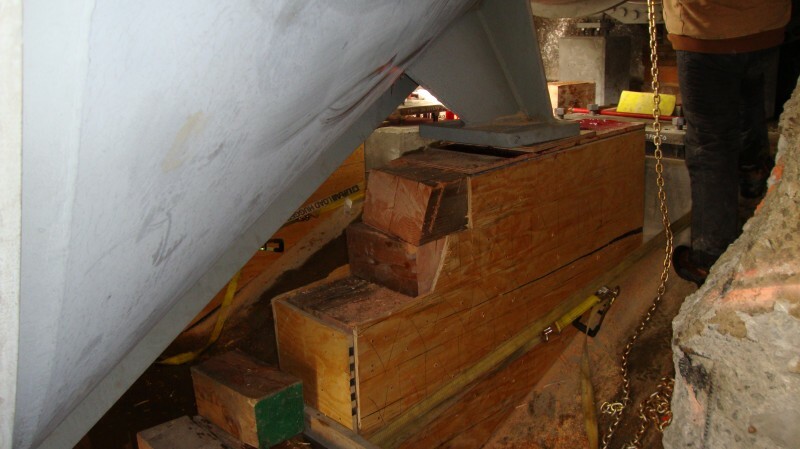 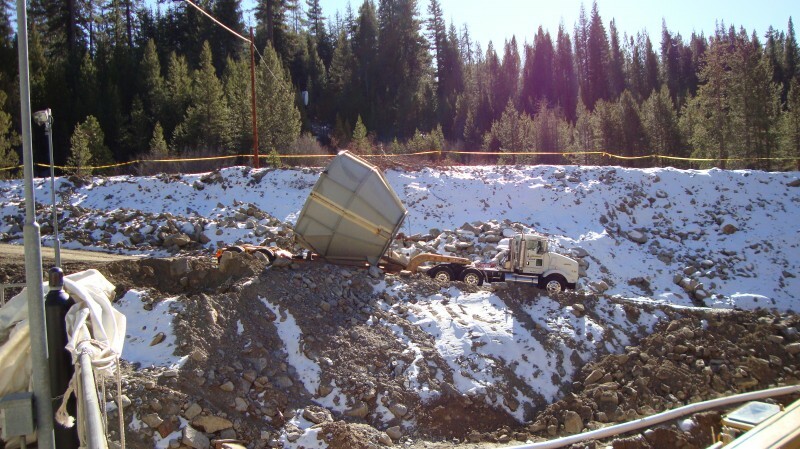 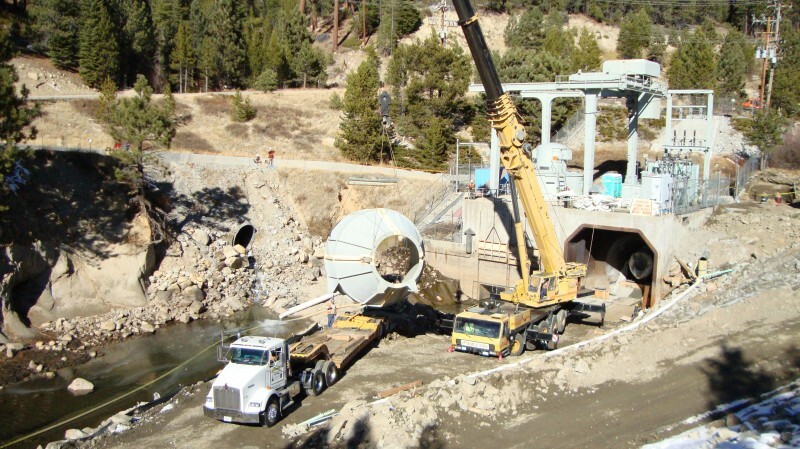 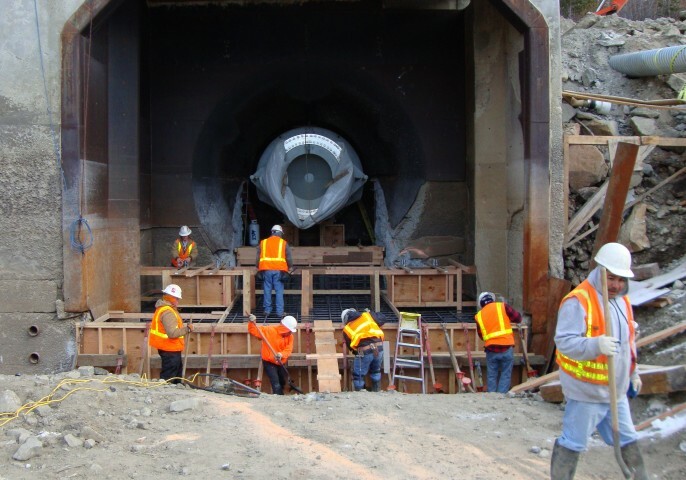 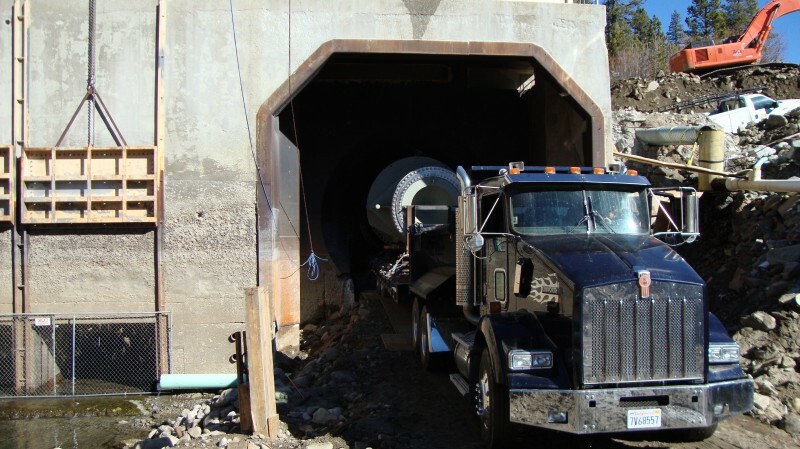 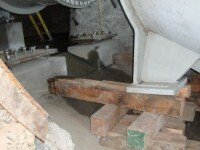 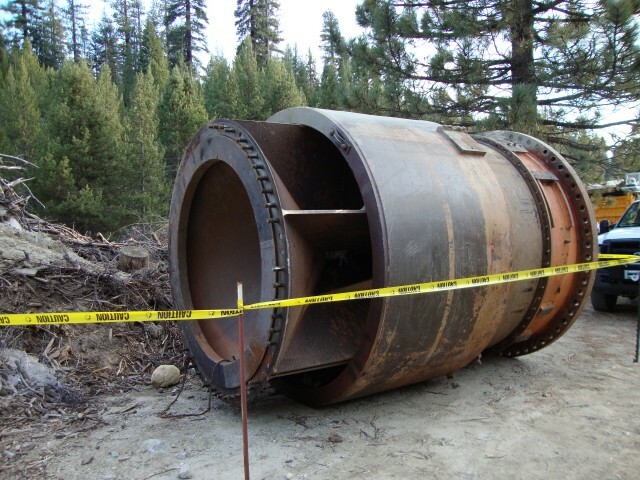 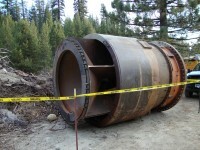 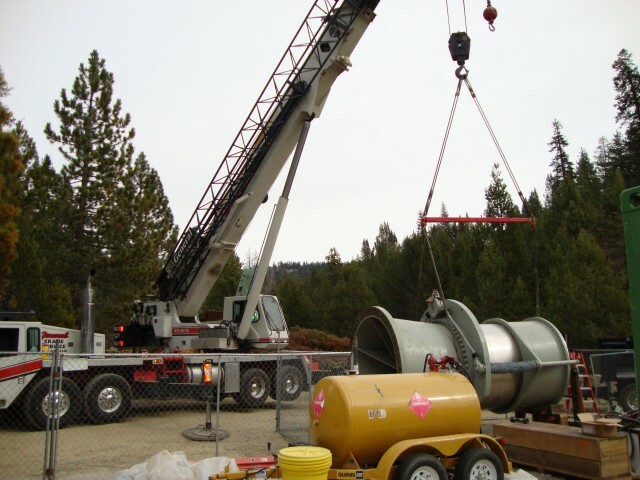 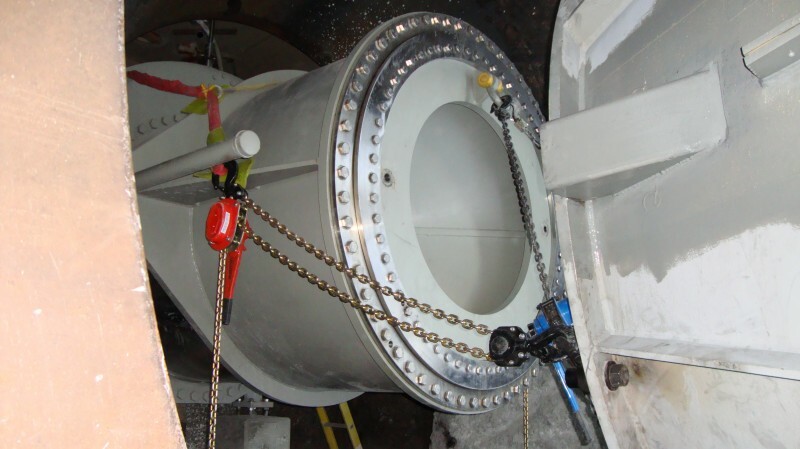 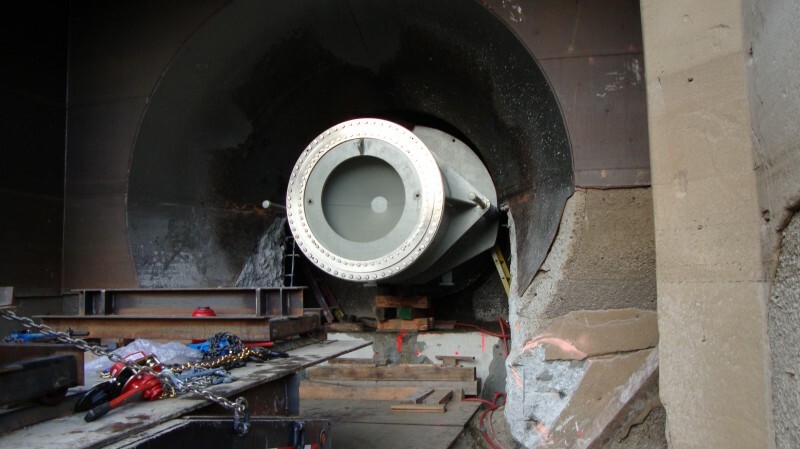 Due to the weight of the valve and the steep access to the site, the new valve was pulled into place on constructed rails, and then connected to the existing pipe flanges with ninety-five 2.5 inch bolts. 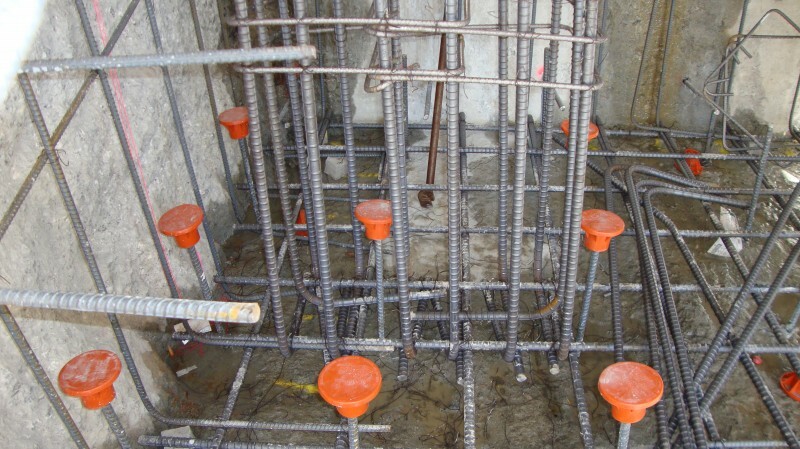 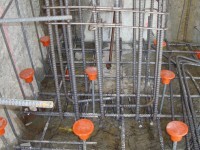 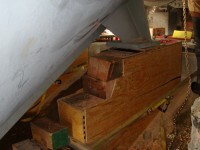 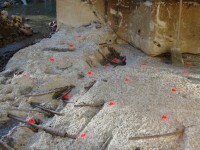 The new valve was supported by new concrete pedestals.